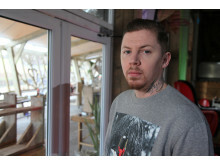 The BBC Lifeline appeal is led by Professor Green and features the Stringer Family who tragically lost their son, Hector, at the age of 18 and comedian Jake Mills, from Merseyside who attempted to take his own life but, through the support provided by CALM, sought help and now campaigns to raise awareness of male suicide and the work that CALM does. In 2013 there were 6,233 suicides in the UK, of which 78%, or 4,858, were male. Just over 13 male suicides every day. Male suicide numbers are at a 15-year high, and suicide is now the single biggest killer of men aged 20-45 in the UK (ONS, GRO, NISRA)*. Every £6 raised by the BBC Lifeline Appeal will fund a potentially lifesaving call to the CALM helpline. 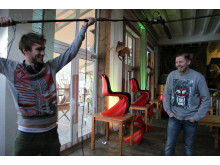 CALM’s BBC Lifeline Appeal will be broadcast on Jan 18th, 3:25pm on BBC 1, and again at 1pm, Jan 21st on BBC 2. Texts cost £10 plus your standard network message charge. The whole £10 goes to CALM (Registered charity number: 1110621 and Registered Scottish Charity: SC044347). Please make sure you write ‘CALM’ on the back of the envelope. 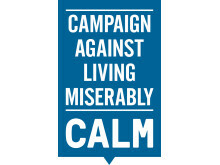 CALM is a registered charity number: 1110621 and SC044347. - a free, confidential helpline and webchat service taking over 40,000 calls a year on 0800 585858 (national) 0808 802 5858 (London) open 7 days a week, 5pm – midnight. - CALMzine, our award-winning quarterly men's lifestyle magazine.